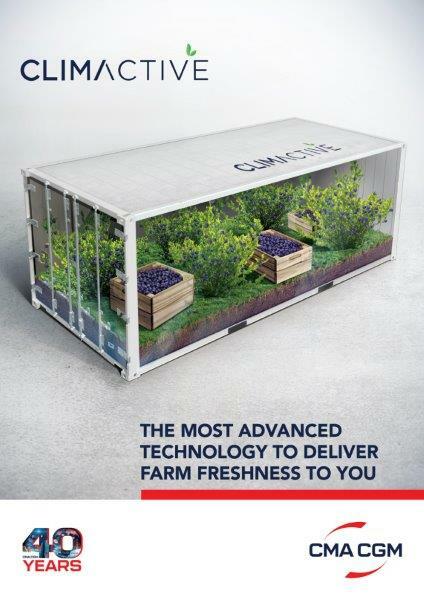 CLIMACTIVE is the latest and most advanced solution to maintain sensitive commodities’ freshness to destination, by faster reducing the level of oxygen inside the container equipped with DAIKIN Active CA. This technology allows businesses to optimize their competitive attractiveness by maintaining the products’ freshness up to final destination, preventing the maturation process, extend their shelf life and preserve the products’ quality attributes. It also allows businesses to expand by reaching further destinations and target news markets. CLIMACTIVE finally allows businesses to maintain their products’ organic label. CLIMACTIVE allows to reach the optimal level of O2 and CO2 much faster. A nitrogen pump creates a real barrier against oxygen infiltration, protecting the cargo from excessive ripening. Temperature, humidity and balance between gases are also very precisely regulated, allowing an optimal preservation and protection of highly-sensitive commodities. 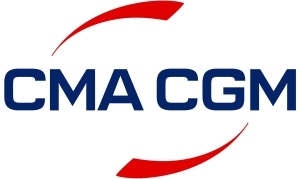 The CMA CGM Group is the 2nd largest refrigerated container carrier in the world. Thanks to its fleet of 385,000 TEUs of Reefer containers and 288,000 Reefer plugs, CMA CGM offers transport solutions for all sensitive cargo requiring refrigerated transportation in order to exceed customers' expectations. With an organization dedicated to Reefers and a network of experts in over 160 countries, CMA CGM is a global Reefer partner with local expertise in refrigerated transport. “Following the launch of the REEFLEX innovation, CMA CGM continues upgrading its Reefer range to better meet customers’ needs and acquire new markets. By introducing CLIMACTIVE, an additional technology is now available for the most sensitive commodities in CMA CGM’s Controlled Atmosphere offer. CMA CGM testifies again the importance of customer centricity and its ability to remain equipped with the latest innovative technologies” declared Eric Legros, Vice-President, Specialized Products and Value Added Services.